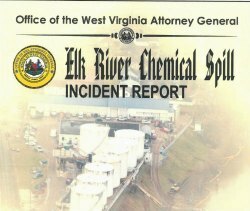 CHARLESTON — Attorney General Patrick Morrisey today issued a report that detailed the results of the Office of the Attorney General’s investigation into the Jan. 9, 2014, Elk River Chemical Spill. The report, which was the result of the work of hundreds of hours by the Office’s investigators, found that the owners and employees of Freedom Industries knew that the aboveground storage tanks at Freedom’s Barlow Road tank farm were deteriorating and that the containment walls surrounding the tanks were in severe disrepair. “This report outlines the significant and troubling deterioration that was allowed to go on at the Barlow Road facility, and highlights how Freedom officials ignored numerous warning signs that should have been addressed,” Attorney General Morrisey said. 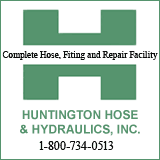 The report additionally states that the company failed to remedy or correct the presence of water from sources outside the property which led to further deterioration of the facility, and alleges Freedom ignored erosion problems along the Elk River bank upon which aboveground storage tanks existed. The report finds that those examples of long-term neglect directly resulted in the January 9, 2014, spill of crude methylcyclohexanemethanol (MCHM) into the Elk River, which polluted the water for more than 300,000 West Virginia residents. The report, which contains numerous charts and photographs, shows a condition of deterioration at the Etowah River Terminal that directly contributed to the leak. The report highlights how water was allowed to pool under and around tank No. 396, which resulted in holes forming in the base of the tanks from which the chemical leaked. The report says the holes likely existed before Jan. 9, 2014, and chemicals had likely leached into the ground for some time before the spill was reported. In addition, the report notes that a hole also existed in tank No. 397. The investigation found that a concrete pad near the chemical tanks and the cinderblock containment around the chemical tanks were allowed to deteriorate. The concrete pad was so cracked that when investigators stood on certain sections near tank 396, liquid seeped up from underneath. The wall likewise was allowed to deteriorate to the point that several bricks had broken apart or were missing, as was the cement mortar between some bricks. Because of that deterioration, the pad and the wall were not able to contain the chemical. The report also finds that a culvert designed to help drain water away from the tank farm and into the Elk River was allowed to decay and perforate, resulting in water backing up into the tank area. That, coupled with bank erosion along the Elk River weakened the ground upon which the tank farm was built. A full copy of the report can be viewed at http://bit.ly/1AxzG4o.